Real Estate Photography is, as a rule, done in far from ideal situations to get a satisfactory photo of a property that can be put to good use by the industry. Therefore post photo editing and a whole lot of manipulations are to be resorted to get a final product that can be effectively used by the industry in their various campaigns. These manipulations are numerous and highly technical and demanding that often recourse is taken to professional service providers. In photography a 3D reality is represented on a 2D plane. The art of representing 3D on a 2D plane is all about perspective in photography. If you are not aware of the various aspects of using perspective to your advantage you are more likely to end up making an ordinary photo of a great scene while if you are adept at putting perspective to good use you are more likely to produce a great photograph an ordinary scene. By the mere force of circumstances real estate photography is done piecemeal and at various times. It would be too much to demand of nature for continuity of light, sky conditions, and the work demands would alter the conditions of fore and backgrounds. This would necessitate quite a few post photo manipulations to obtain high class photographs for use in the multiple media used by the real estate industry. 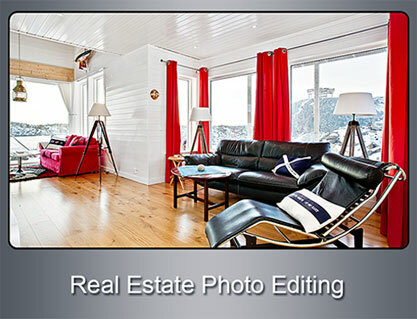 Real Estate Photo Editing consists of a whole lot of manipulative procedures. The more important ones are briefly discussed. Real estate is taken as individual frames. To give an impressive look to the property these frames of varying exposure and depth of vision needs to be combined to form a composite whole. The first step in this operation is to mix all the photos. To look a whole they need to be aligned perfectly. This is done by aligning ‘points of interest’ in the various frames. Points of interest are points in the frames where there are large variations in intensity in all directions. Needless to say a perfect alignment of the various frames is achieved with the help of powerful computer tools. As mentioned earlier, all the frames are not taken under the same conditions of lighting. Hence the composite photo has to be adjusted for tone and intensity. This is achieved by adjusting the exposure to get a uniform appearance. If the photo has high contrast and the reproduction is not satisfactory and needs to be corrected, an HDR processing is also done. HDR is High Dynamic Range and is the capacity of the camera to see the lightest light and darkest dark. If the subject of the photo is beyond the HDR range of the camera the highlights would be blown into white and the dark area would appear as big blobs of black. An HDR processing renders the photo a highly focused and very colorful one. Having obtained a good colorful, well focused photo it is to be ensured that the photo does not have marks of stitching. Normally the giveaways are the sky, back and foregrounds. So these have to be corrected. Portions of the sky is masked by slipping masks and the necessary sky patterns imported from another photo or from portions in the same and superimposed over the masked area. A similar operation is done for the fore and backgrounds. Along with this any distracting objects in the field of vision is removed and touched up appropriately. Similarly any impressions of the ever present dust particles are also removed. Perspective in photography can be defined as the sense of spatial relationships between objects in the photo, along with their dimensions with respect to the viewpoint (camera lens or the viewer). A very common perspective error in real estate photography occurs because of the need to photograph very tall buildings. The normal technique resorted to is to tilt the camera so as to get the very top of the tallest building. Due to the deviation of the visual axis of the camera from that of the field, results in the buildings looking leaning backwards. Perspective errors are corrected with help of powerful correction programs. These tools measure the degree of error. This is normally done by drawing a grid over the image. This helps in seeing the distortions. The next step is to go to the options that enable the operator to drag the involved sections to the correct positions. After incorporating the corrections apply them to the image and you get a near perfect photograph which by its perfection rivets the onlooker’s attention on the property. Attracted by the beauty one may decide to buy the same: the ultimate aim of the realtor! 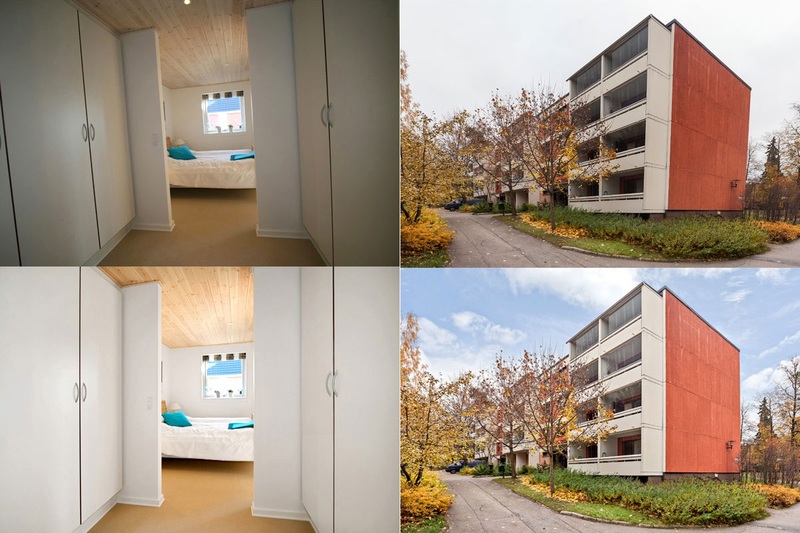 In conclusion it needs to be emphasized that the real estate photo editing is a highly technical art which needs a good infrastructure of modern computers and top of the table software and a highly skilled, knowledgeable experts with considerable experience in each of the specialised field. Photo Editing India is such a group of professional service providers. PHOTO EDITING INDIA is well equipped both in the hardware, software and has competent experts in the respective fields of specialties. They are well poised to deliver high quality finished products under tight time schedules. They can handle the large volumes at economic costs.